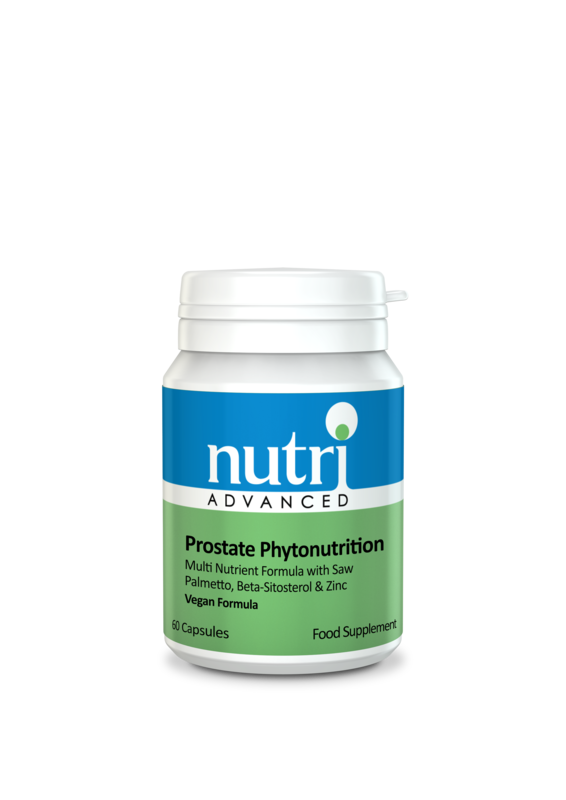 Nutri Advanced Prostate Phytonutrition is a health supplement with a combination of botanicals and nutrients, including saw palmetto, zinc and betasitosterol, which work synergistically together to support men's prostate health. This health supplement is a combination of botanicals and nutrients, including saw palmetto, zinc and betasitosterol, which work synergistically together to support male prostatic health. Features saw palmetto, a herb used to support male health, including urinary tract health and prostate health. Contains lycopene, a fat-soluble carotenoid antioxidant found in tomatoes that can help to support a healthy prostate. Features beta-sitosterol, a phytosterol useful for helping to maintain a healthy prostate. Zinc is a major cofactor for many enzymes and is involved in the metabolism of numerous hormones. Vitamin E is a powerful antioxidant which helps to protect fatty acids and cell membranesfrom oxidative stress. 1-3 capsules daily with food,or as directed. If pregnant, breastfeeding, taking medication or have a medical condition, consult a healthcare practitioner before taking this product.